The Village at Aversboro in Garner, North Carolina is a 55+ community with 147 low-maintenance single-family homes and a 1,500 square-foot clubhouse. This community enjoys a convenient location that is walking distance to Lake Benson Park and only nine miles from downtown Raleigh. With yards maintained by the homeowners association (HOA), residents truly enjoy a vibrant, active lifestyle. 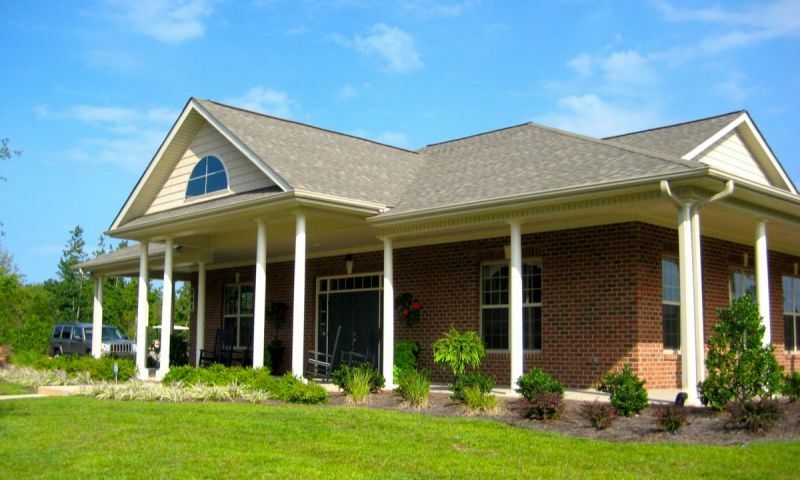 The Village at Aversboro offers its residents access to a private clubhouse. Here homeowners gather to play games like Mah Jongg, Skip-Bo, poker, hand and foot, and many more. Getting to know new neighbors and making lifelong friends is made simple at the community potlucks, movie nights, bible studies, and ladies lunch bunch. Residents continually plan fun neighborhood events and activities around the community. TThere are six ranch floor plans in the Village of Aversboro that range from 1,645 to 2,500 square feet. All homes feature brick exteriors, attached garages and nine-foot ceilings. The homes are finely appointed with notable included upgrades such as granite countertops, under cabinet lighting, tile back splashes, gas fireplaces, hardwood and ceramic tile flooring and screened porches. These low-maintenance homes offer two to four bedrooms, two or three bathrooms, and an attached two-car garage. For active adults seeking a 55+ community in a great location, The Village at Aversboro is the perfect place. Great restaurants, shopping, a grocery store and pharmacies are all within walking distance from your front door. Adjacent to the community is Lake Benson State Park which occupies 200 acres of open space, miles of walking and biking trails, picnic areas and outdoor symphony performances. Plus, Lake Benson allows small boats and is great for fishing. When looking for a resale 55+ home near the Raleigh-Durham area, look no further than The Village at Aversboro in Garner. Clubhouse - 1,500 Sq. Ft. There are plenty of activities available in The Village at Aversboro. Here is a sample of some of the clubs, activities and classes offered here. There are seven ranch floor plans in the Village of Aversboro that range from 1,645 to 2,500 square feet. All homes feature brick exteriors, two-car garages and nine foot ceilings. The homes are finely appointed with notable included upgrades such as granite counter tops, under cabinet lighting, tile back splashes, gas fireplaces, hardwood and ceramic tile flooring and screened porches. It you want a nice little friendly community this is a good place. It's more about getting out and enjoying the area than supporting a huge clubhouse with stuff you won't use anyway. I like spending time at the Lake Benson park. It's great that I can just walk or ride my bike there. 55places.com is not affiliated with the developer(s) or homeowners association of The Village at Aversboro. The information you submit is distributed to a 55places.com Partner Agent, who is a licensed real estate agent. The information regarding The Village at Aversboro has not been verified or approved by the developer or homeowners association. Please verify all information prior to purchasing. 55places.com is not responsible for any errors regarding the information displayed on this website.